glow – ActiveDark.com – Glowing Ideas! Glow for Luminary & Lantern Festivals!! 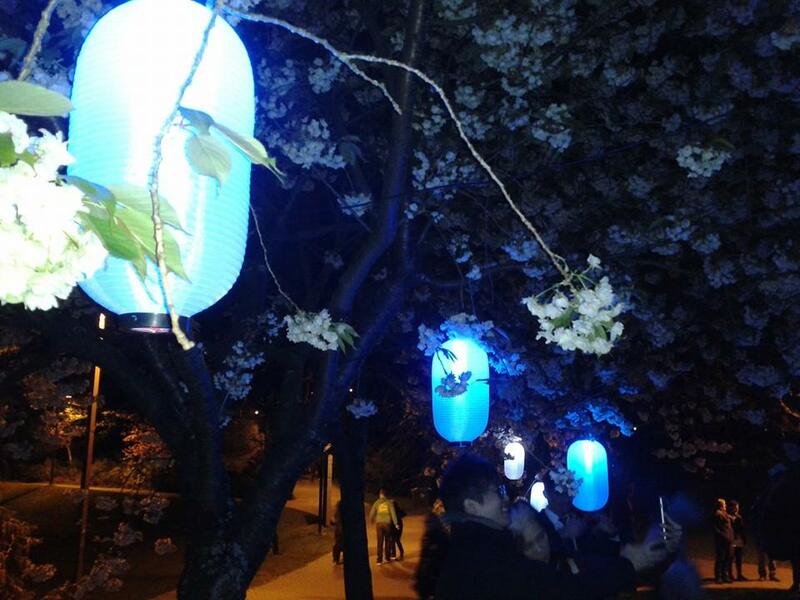 What better way to light up your lantern festival or luminary event than with bright glow products! Here are a few images highlighting the unique uses of glow and LED products used to light up the festival and all the glowing people involved! Light up lanterns with bright glowing LED Light Sticks or even Remote Controlled LED Decor Lights! By using a creative blend of glowing items, you can create a fun and attractive lighted environment that is sure to draw crowds and wow your participants. By adding a few LED Lighted Hula Hoops or a few Glowing Poi Ball Spinners, you can turn your run of the mill event into the glowing talk of the town! 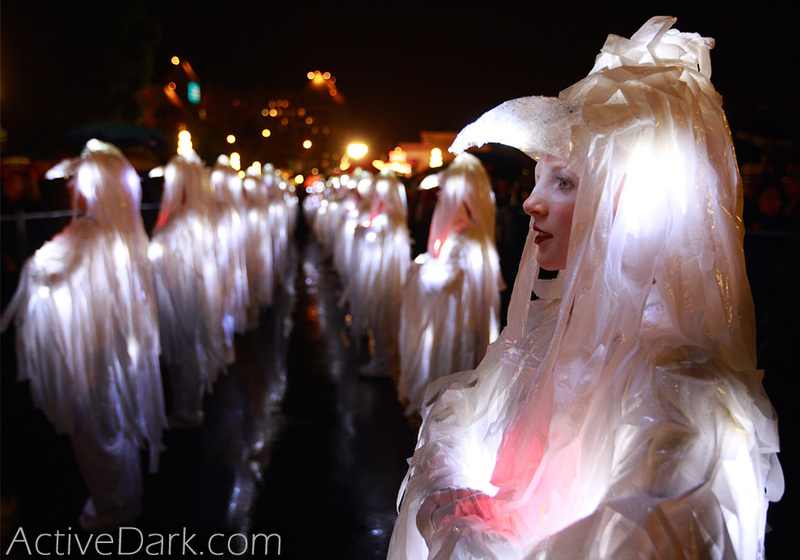 Get creative with Electro-Luminescent (EL) Wire in your decoration and costume designs or string a whole row of Glow Necklaces together for a cool stringed lighting effect! 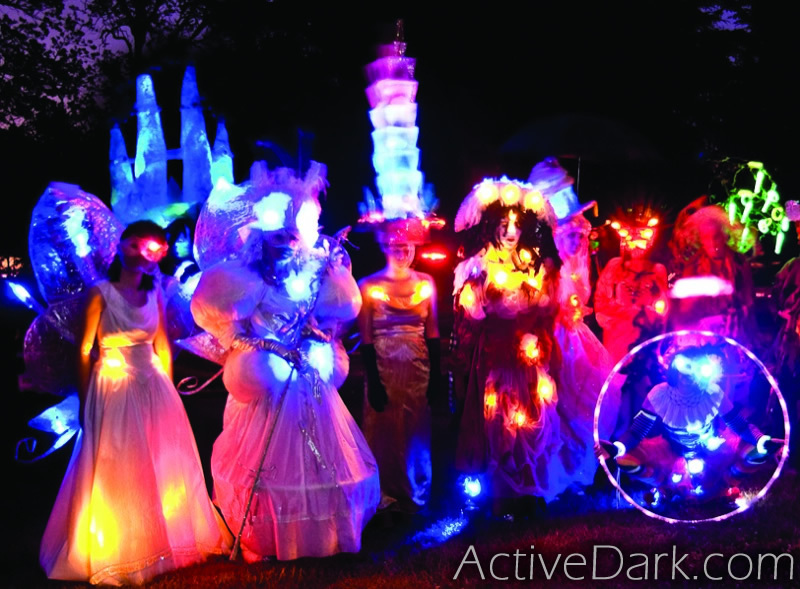 The simple addition of Large Glow Sticks in the hands of each of your participants can make a world of difference by creating a glowing spectacle out of each individual that attends your lighted event. 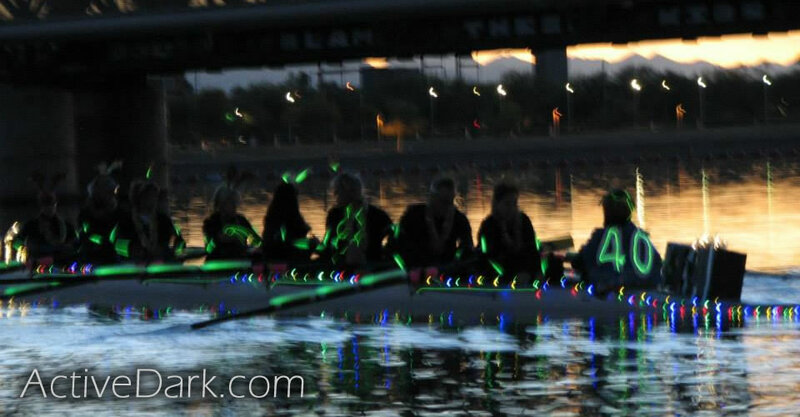 You can even choose glow colors that fit your event or festivals color themes! Simply adding a few well placed LED Lights into a custom outfit or costume can create some very unique and creative ideas. 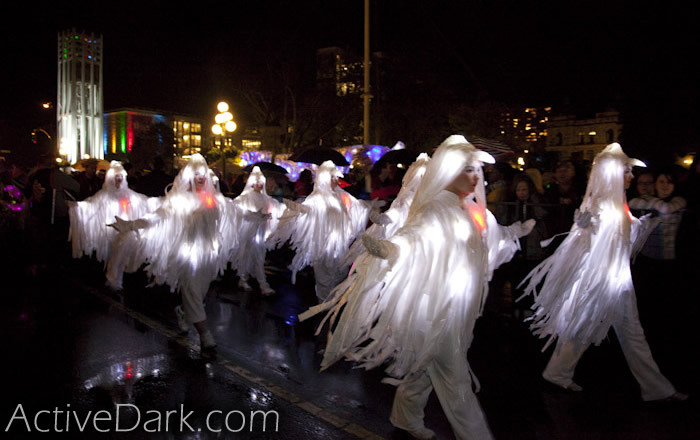 The above photo shows a very easy costume design simply by adding some white 7 Inch LED Light Sticks under the costumes garments. A very quick and easy addition that helped to create a very bright and fun lighted outfit! 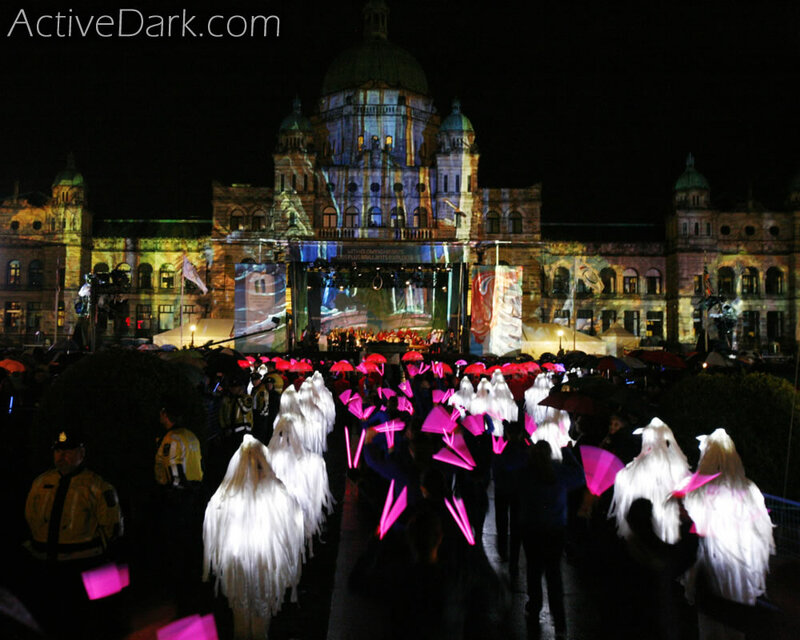 Glow can be added to any type of festival or outing to kick it up that extra notch! Be creative. If you think your event or festival may cross into evening time, you may want to consider adding some bright lights to further attract more people to your outing whether it is a luminary festival, a rowing competition, a marathon bike ride or a simple community BBQ!